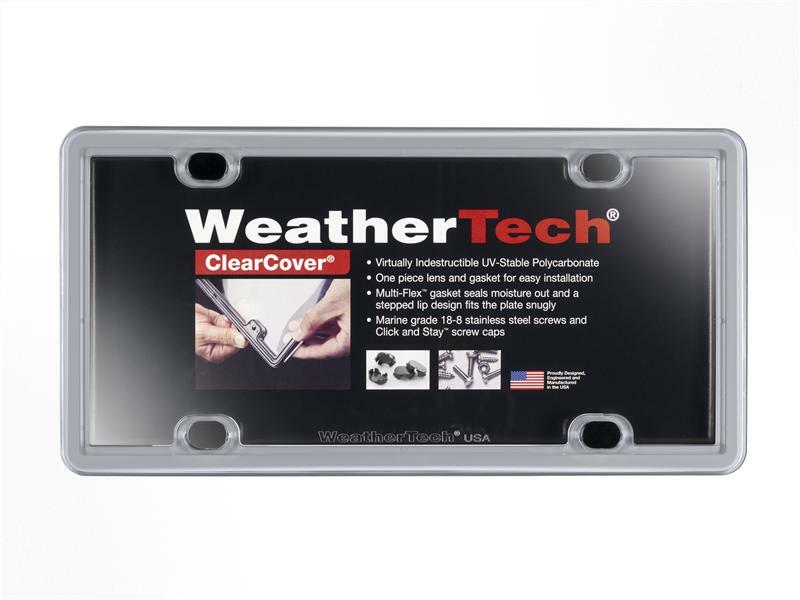 The WeatherTech ClearCover license plate cover is made from the virtually indestructible Eastman DuraStar polymer. Its one piece lens and gasket design allows for easy installation. The Multi-Flex gasket seals moisture out, and a stepped lip design fits the license plate snugly. Marine grade 18-8 stainless steel screws and Click and Stay screw caps are included. WeatherTech ClearCover has many styles to choose from, and will complement any vehicle. If you want the finest billet License Plate Frame on the planet and you want one made right here in America, look no further as you have found it at WeatherTech. The WeatherTech Solid Billet Aluminum License Plate is available in three bullet proof anodized finishes; Clear Bright Silver, Black and Titanium. Hand made in extremely small batches, order yours today. 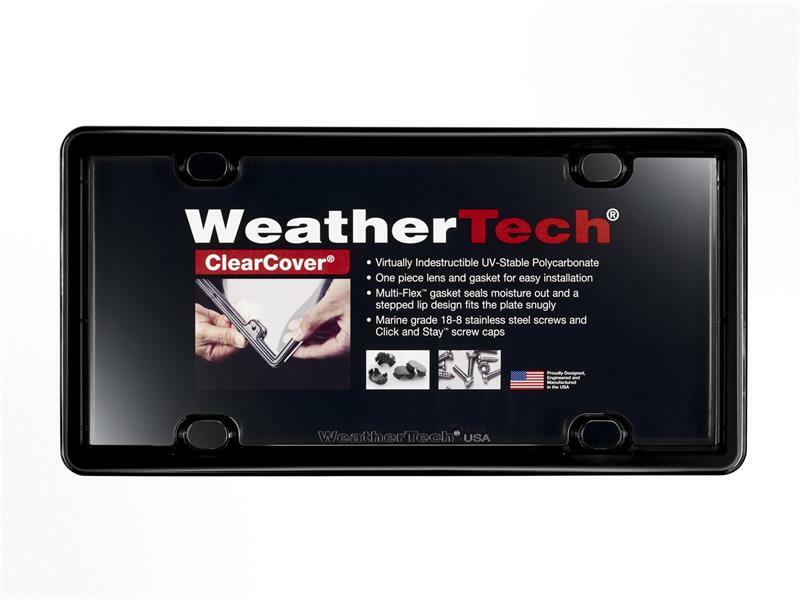 The WeatherTech ClearFrame License Plate Frame has all of the features of the ClearCover in a frame. It is made from virtually indestructible Eastman Durastar Polymer. Its one piece frame and gasket design allows for easy installation. The Multi-Flex Gasket seats against your plate snugly preventing vibration or rattling. Marine grade 18-8 stainless steel screws and Click and Stay screw caps are included. WeatherTech ClearFrame has many styles to choose from, and will compliment any vehicle. The WeatherTech PlateFrame features a solid one-piece design made from ABS Natural Platable Grade Plastic. This specific grade of ABS thermoplastic material is virtually indestructible with optimum resistance to weathering. Included with the PlateFrame are marine grade 18-8 stainless steel hardware and Click and Stay screw caps. Please check state and local laws prior to use.